Horse Heaven! 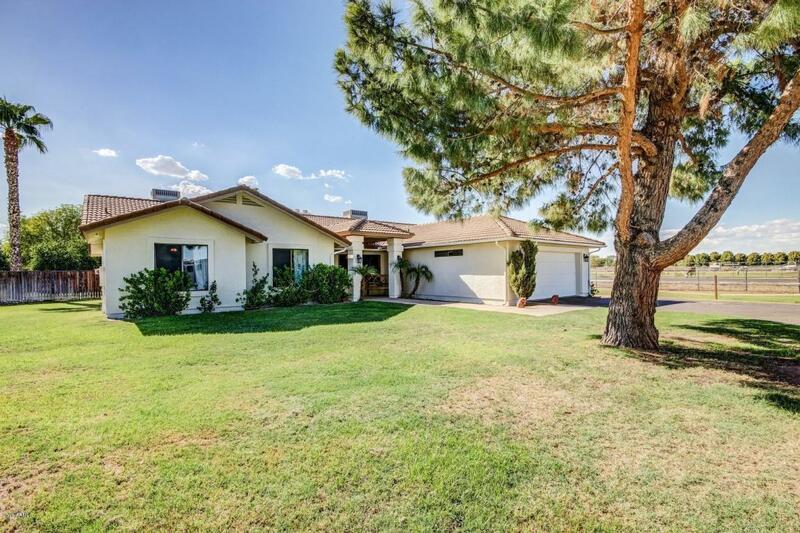 This custom built one-story ranch has been freshly painted and re-carpeted in Sept. 2018. The home has four bedrooms with a split floor plan and 2 full baths with an additional half bath in the garage. The kitchen has also recently been remodeled in 2016. There are two fireplaces in the home. One in the living room and one in the master bedroom. French doors in the master and living room lead to an oversized covered patio complete with a fenced pool with slide and spa. 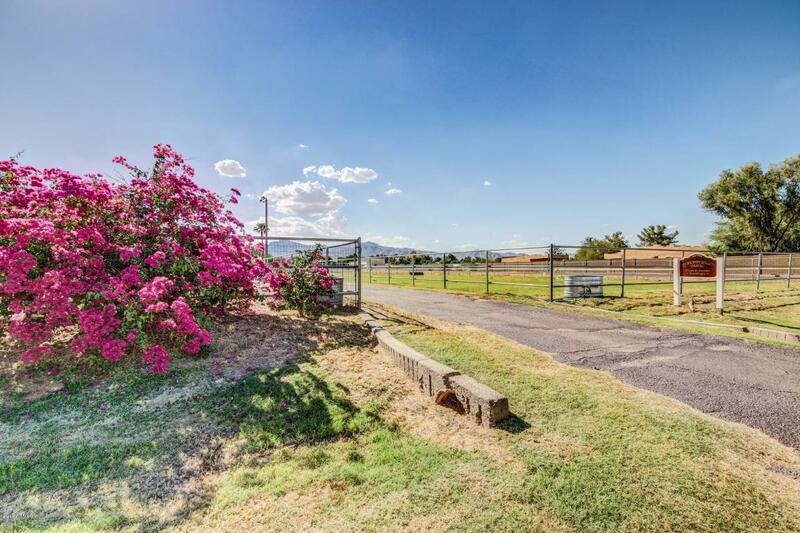 The home sits on 3 irrigated acres with X-fencing. 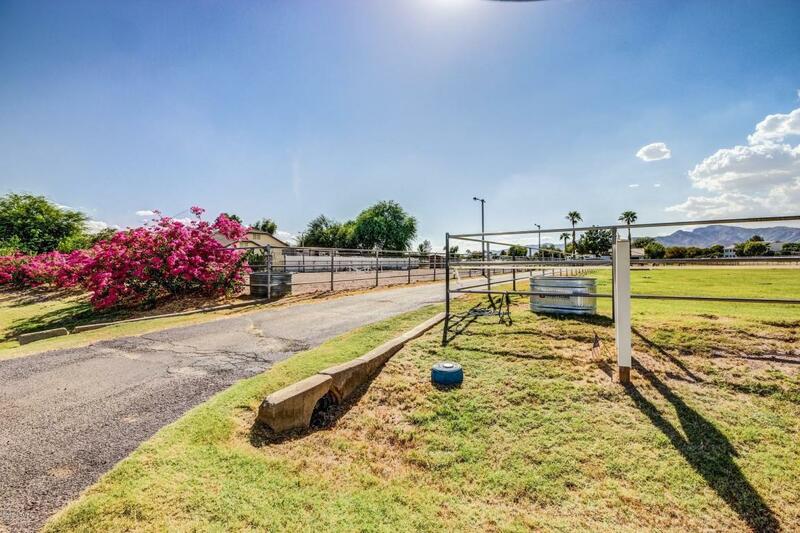 There are 8 stalls with water spigots, one with attached paddock, two paved wash racks with cross ties and large tack room/workshop. 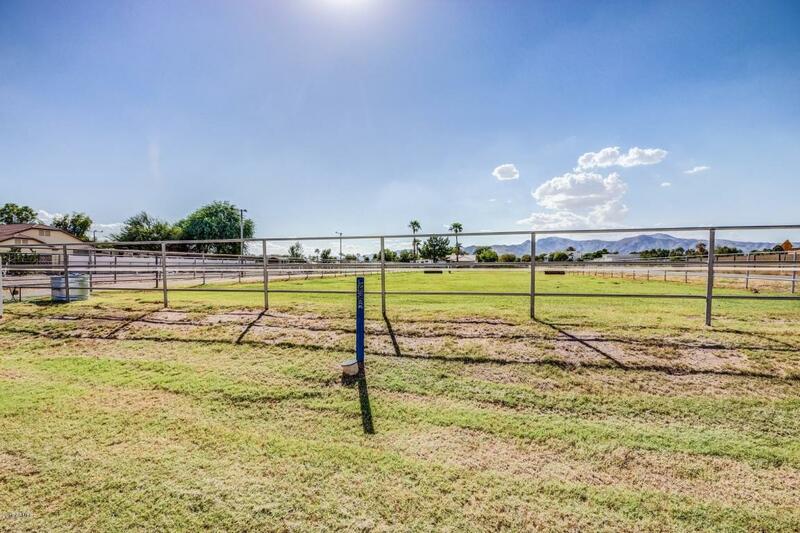 80 x 120 lighted riding arena with footing. A COMPLETE HORSE SETUP! Plenty of mature trees providing lots of shade. There isalso a small orchard and grapevines. Mahogany doors throughout as well as crown moulding in master bedroom, main living area and kitchen. All bathrooms recently remodeled with marble floors. Complete privacy.